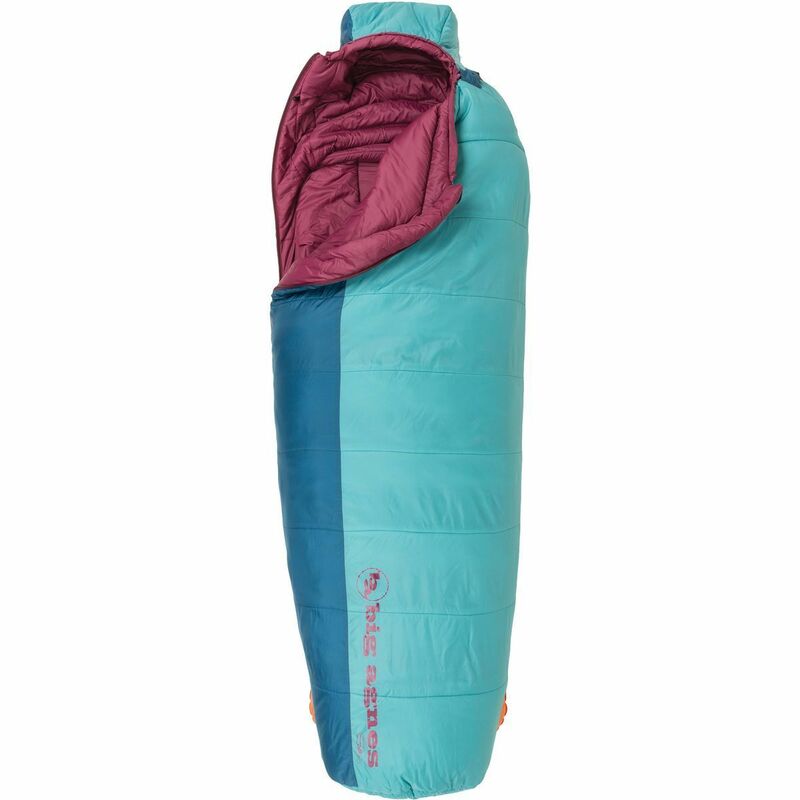 With its plush feel and cozy warmth, cuddling up in the Big Agnes Slavonia 30-Degree Synthetic Women's Sleeping Bag has to be the best way to relax in camp after a long day on the trail. 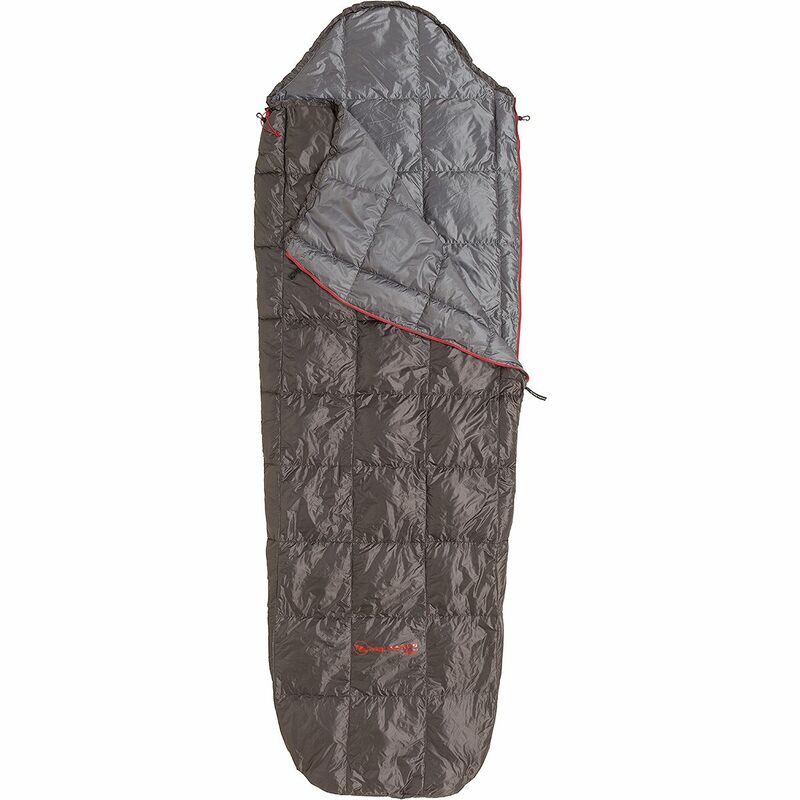 Offering all the comforts that you expect from Big Agnes, the Slavonia's features include an integrated sleeping pad sleeve that will accept any 20-inch-wide pad, a Free Range hood that allows your noggin to move about even when the bag's zipped up, and a vaulted foot box to give your toes some extra wiggle room throughout the night. 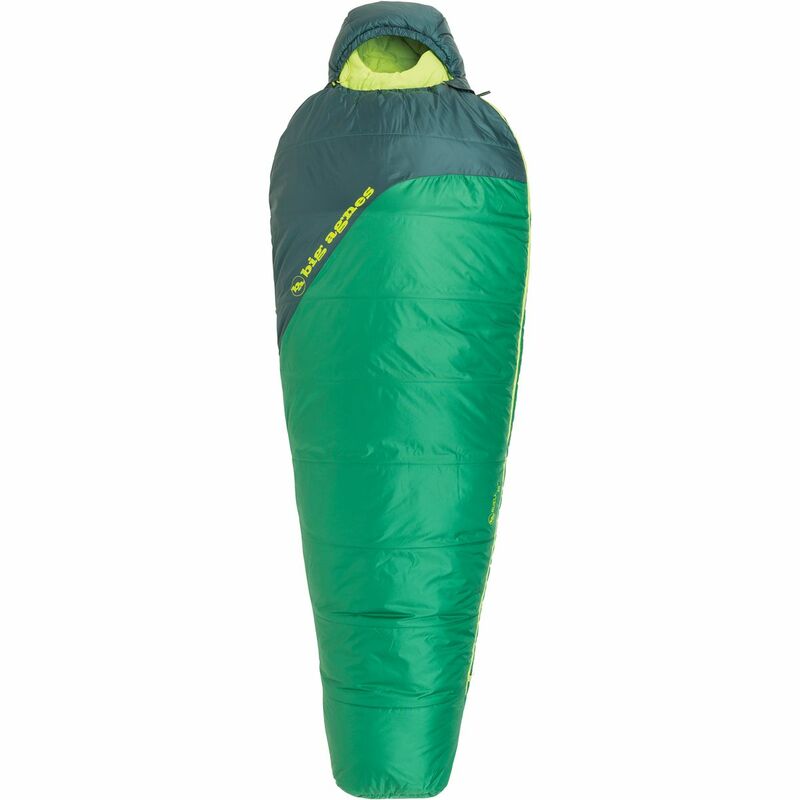 In addition to all that sweetness, the Slavonia is packed full of durable and cozy 100% recycled synthetic insulation, which will keep you warm in temperatures down to thirty degrees and has a contoured shape that makes the sleeping bag's baffles drape around your body for better thermal efficiency and fewer cold spots. 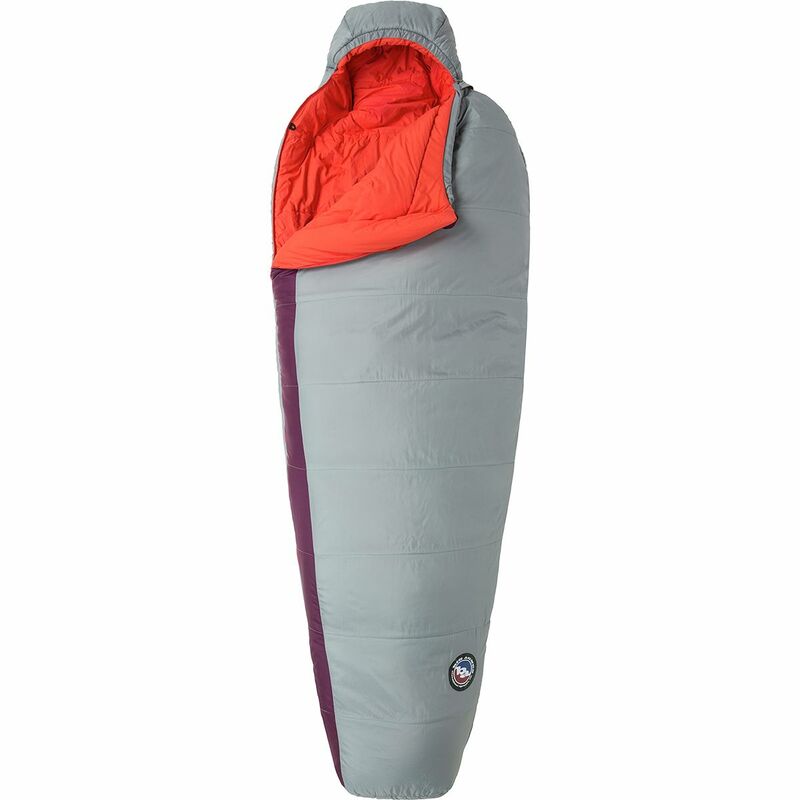 The Big Agnes Sunbeam Sleeping Bag: 0 Degree Synthetic allows you to sleep comfortably on weekend camping or backpacking trips, then packs down small for convenient storage and transport. 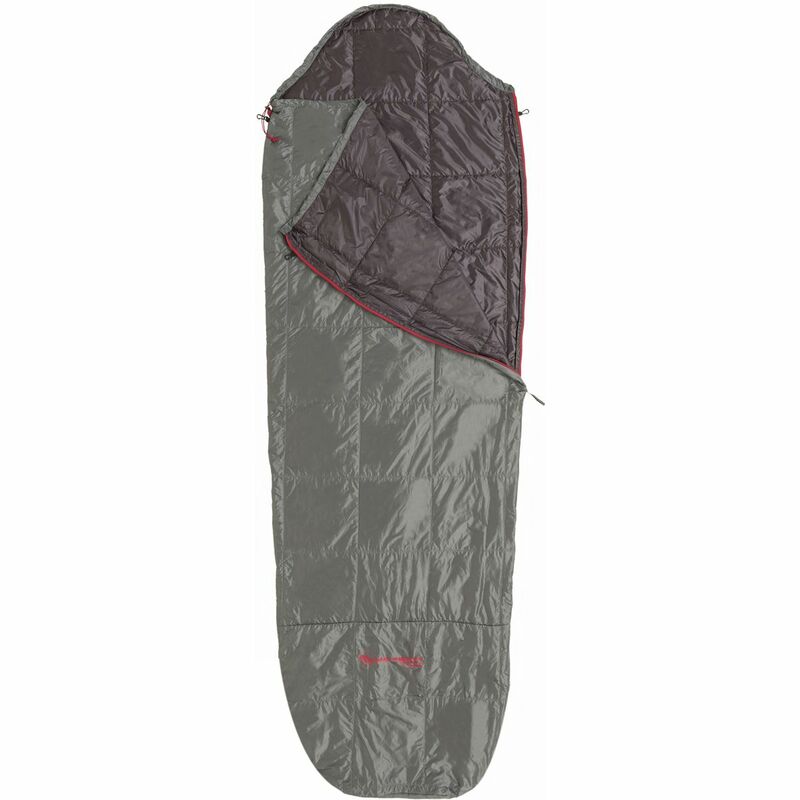 It's designed to stretch to accommodate a 20 to 25 inch wide sleeping pad to keep you on your pad for warmth and comfort throughout the entire night. Because of its water repellent finish and synthetic insulation, the Sunbeam ensures that you can stay warmer in wet conditions such as in foggy mornings and misty evenings. 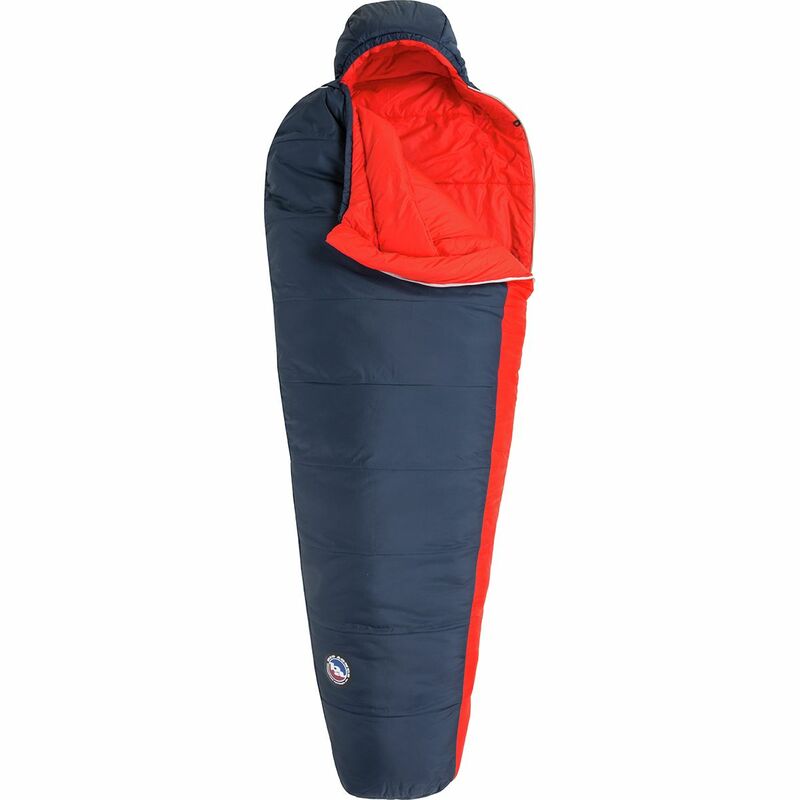 The bag is designed to keep you warm down to zero degrees Fahrenheit, but for added warmth also features interior fabric loops for a sleeping bag liner if you plan on sleeping in slightly colder temperatures. Aside from warmth, the Sunbeam has additional features for comfort and convenience. For starters, its anti-snag zipper allows a smooth, quick zip and the Free Range Hood and foot box allow you to lift your head and wiggle your feet. 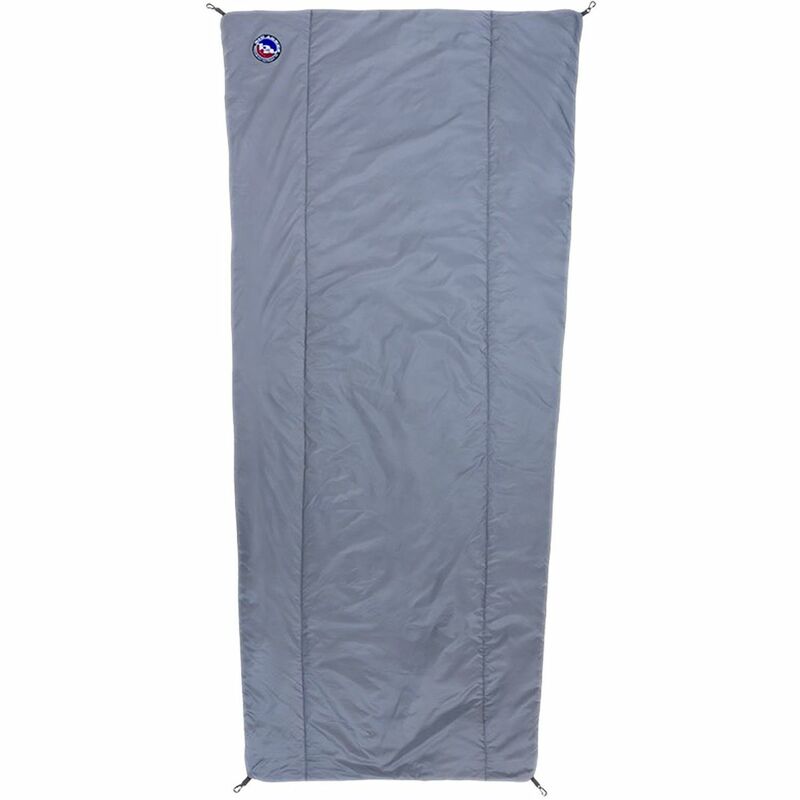 A pillow barn secures your pillow throughout the night even when you toss and turn and an internal hood drawcord provides you with a secure and comfortable fit when it is cinched. Finally, when it's time to move camp, the whole bag compresses down small into its stuff sack for convenient transport. 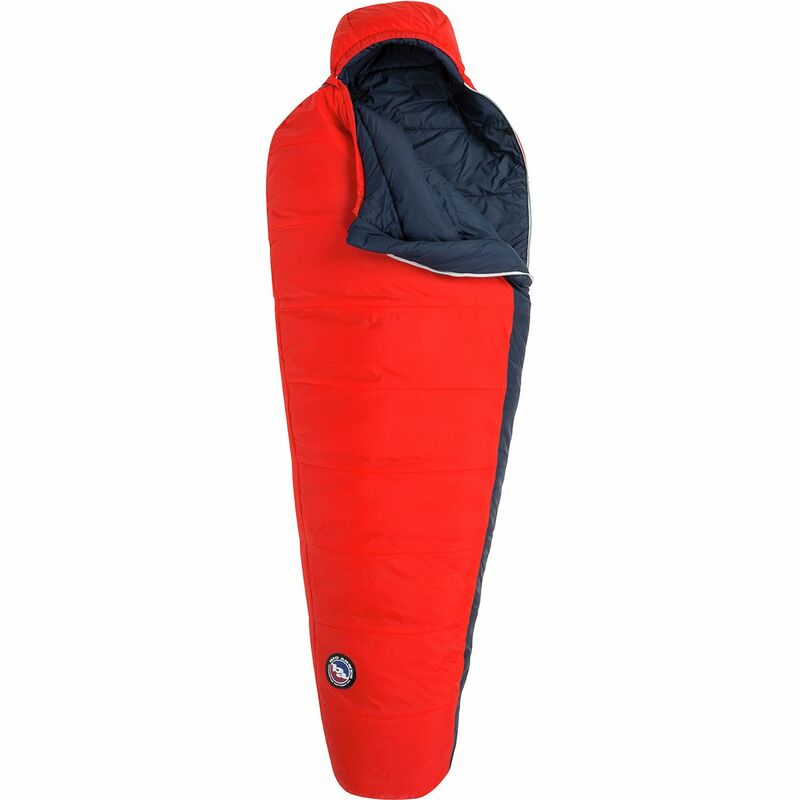 Whether you're on a backpacking trip or sleeping under the stars in the backyard, the lightweight Big Agnes Husted Sleeping Bag: 20 Degree Synthetic will have you sleeping comfortably. Its traditional mummy shape allows the bag to shed weight while increasing thermal value for an excellent warmth-to-weight ratio while its water resistant face fabric and synthetic insulation keep you from shying away from misty mornings. Additionally, its contoured hood and oversized interior anti-draft collar prevent the chill from getting to you while you're sleeping. 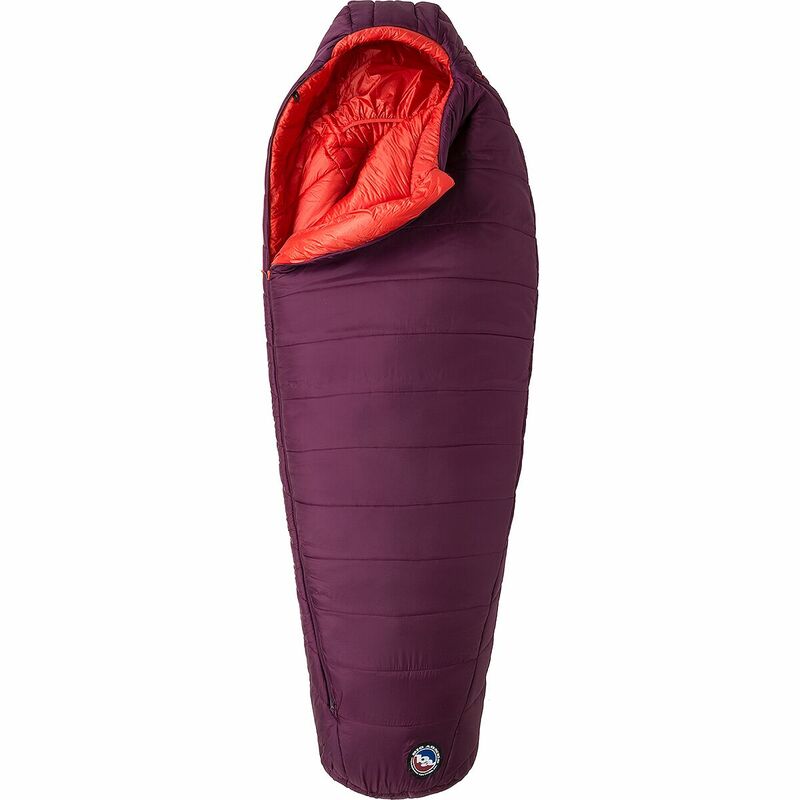 Forget about packing away your camp gear at the end of summer--with the 15-degree Elsie Sleeping Bag from Big Agnes you can hit the peaks in early December or sleep under the desert sky in late January. The combination of hydrophobic fibers and abrasion-resistant material keep you warm and protected when camping in snow caves or quick bivvies. If you are exposed to the elements, the draft tube and collar work to trap body heat and prevent cold air from entering so you can stay toasty from dusk to dawn. When you pack up camp the next morning, this bag won't weigh you down as you move on to the next alpine lake or high-altitude meadow.